Flawless design, customer focus, superior service. 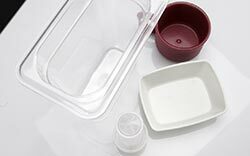 Our mould making philosophy starts with clear communication and an understanding of the customer’s project needs and expectations. 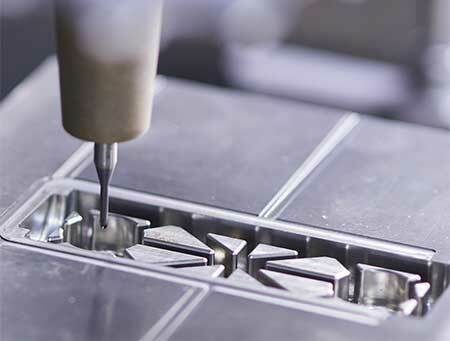 Then, our team of design engineers and experienced craftsman combine modern equipment, software, and machining practices with time-tested mould building fundamentals to create our moulds. We then validate each mould by using our in house testing facilities, this way, there are no surprises when the customer receives the mould. 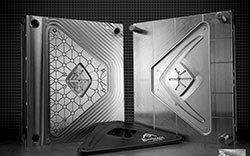 Whether it’s a simple one cavity open and close prototype or a complex multi-cavity high-speed production mould, the same process is carefully maintained. 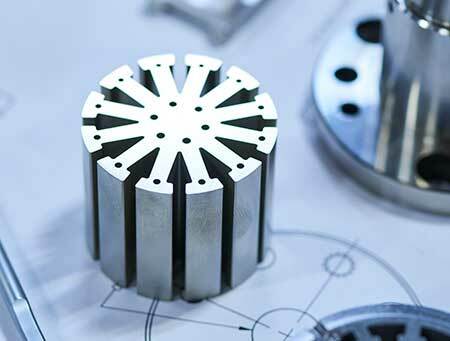 Synergy has a proven track record of successfully taking on complex custom machining jobs inside and outside the mould making industry. 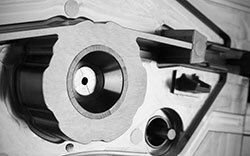 With our equipment and experience working to extremely tight tolerances, we can handle just about anything. Mould testing, pre-production, contract moulding. Having injection moulding capabilities in house at Synergy adds tremendous value for our customers and is a huge competitive advantage. 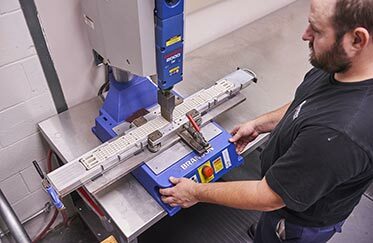 We can function test every mould we build which leaves nothing to chance when a mould goes into service at a customer’s facility. Additionally, we ensure customer satisfaction by offering pre-production runs, prototype moulding requirements, and contract moulding in the event of customer capacity issues. All properly built moulds, whether simple or complex, require a sound engineering foundation to be successful. Our engineering team understands this and draws from years of experience to succeed in even the most challenging situations. Our mould designs are first created using Solidworks or Cimatron in 3D, then the designs are reviewed as a collaborative effort between our engineers, manufacturers, and the customer to ensure all aspects of the project’s requirements are considered. Upon project completion, each customer is provided with an “AS BUILT” 3D file and complete set of drawings. This includes the bill of materials and an easy to understand water circuit diagram. Good project management is integral to success, customer satisfaction, and the overall experience of working with Synergy. 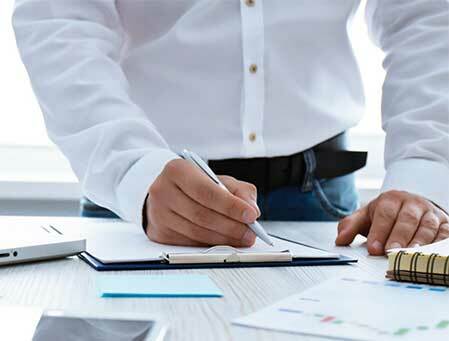 As a customer, you can expect that all project tracking and documentation, such as progress reports, will be submitted on time and accurately represent our current progress. Keeping a consistent level of communication and same day responses to any customer issue or progress inquiry is just another level of support that we guarantee at Synergy. 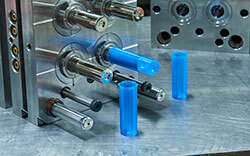 Synergy is experienced in plastics with sonic welding requirements such as plastic to plastic and metal to plastic. We would be happy to discuss any of your requirements and are able to assist in the design of proper sonic welding joints and materials selection. 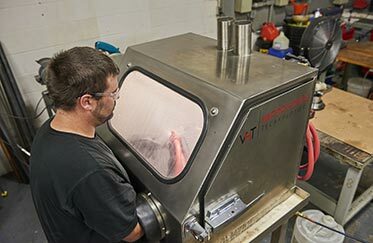 We have several media options for cleaning and texturing using either sand blasting or, if a finer finish is required, our vapor honing tank can achieve extremely light textures which can be applied to moulding faces and sharp parting line edges without damages. 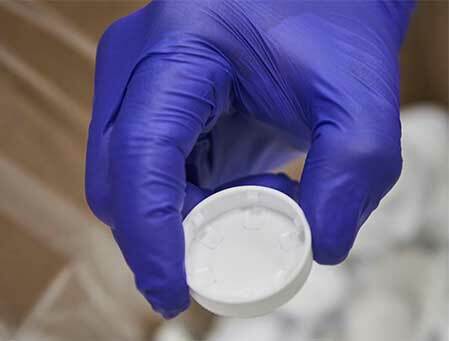 Vapor honing is also an excellent option for improved part release and is a safe chemical free process for mould cleaning. Be sure to inquire about our sand blasting and vapour honing options. 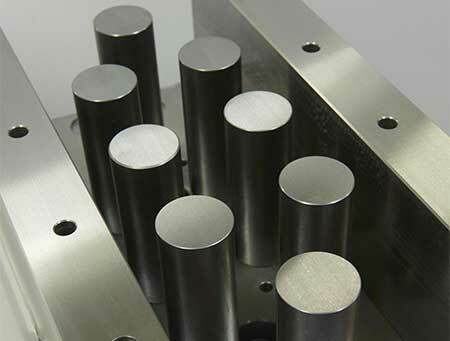 Verify dimensional accuracy of mould components and custom machined parts. Measure first off parts for mould qualification. 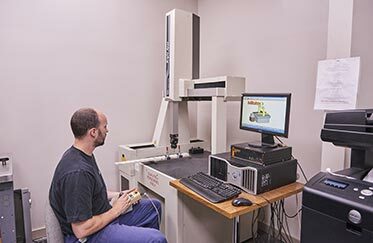 Verify dimensional accuracy of any sub-assemblies such as sonically welded parts.